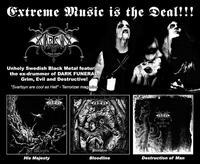 Re-issue of Svartsyn legendary "Bloodline" album with their "Tormentor" EP from 1998 so bonus, which have been sold out for many years. 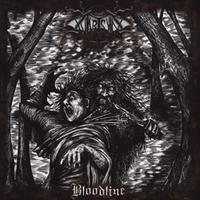 Bloodline was recorded in 1997-98 but remastered and released at CD 2005. No changes, only the layout is re-newed to digipack. Cult!